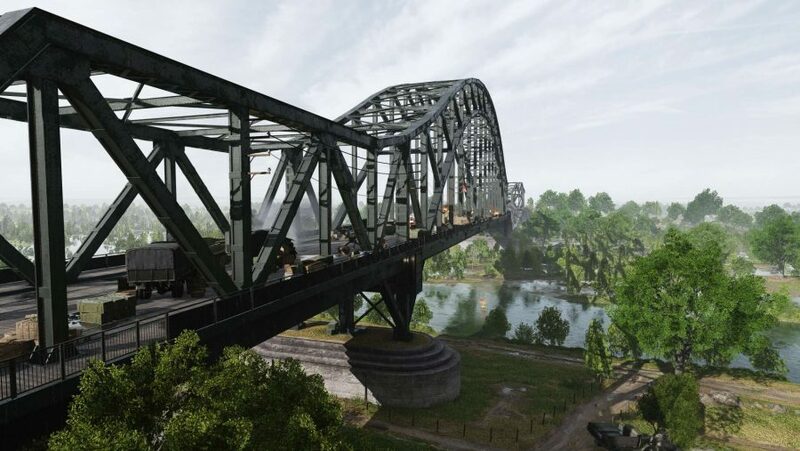 The new Battlefield V: Tides of War Chapter 1: Overture update has landed delivering new maps, lots of colons, features, and most importantly a healthy ray tracing performance update for the Nvidia RTX graphics cards. Nvidia’s promise of up to a 50% frame rate hike just about holds water, though seems more about bringing the lower spec Turing GPUs up to par with the top-end RTX 2080 Ti. The headline figures Nvidia quoted in its preview of the slightly delayed Battlefield V update had the RTX 2080 Ti able to top 60fps with the game using Ultra settings overall – with DXR similarly at Ultra – running at 1440p. The RTX 2080 was also supposed to top the magic 60fps mark at 1440p, but with the game running at Ultra and with the DXR setting at Medium. On the first count Nvidia has absolutely nailed it in our testing, delivering smooth, high-end 1440p gaming with all the real-time ray traced bombs and whistles. Though it’s not such plain sailing for the RTX 2080 on our high-end test rig, where it falls short of the required levels, despite showing a healthy performance boost over the release code. With Battlefield V not being the most simple game to benchmark we’ve had to put together our own performance benchmark, using an repeatable timed run on a live server, with OCAT collating the frame times of each GPU. The PCGamesN office has finally joined the modern era and we now have a Gigabit connection which takes any potential performance issues with running on a live server out of the equation. We use the Twisted Metal map, for its leafy surrounds, destruction, and the fact it’s got a massive structure in the middle that’s fun to fly around. 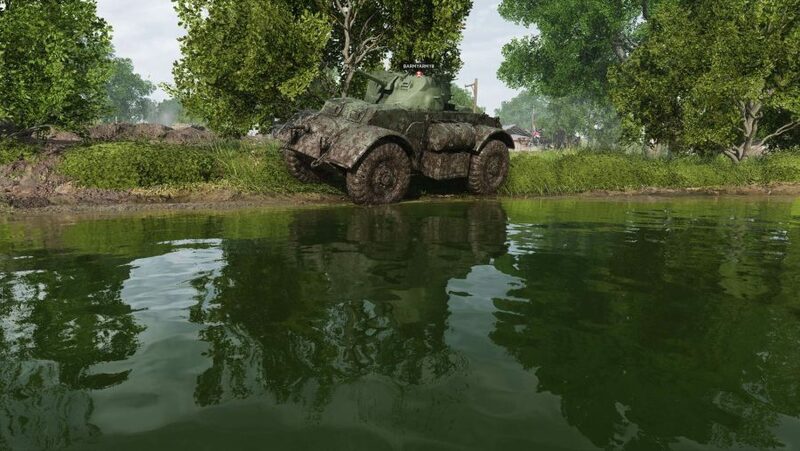 Our GPU-punishing 60 second loop of the map takes in a ground level run as well as an aerial pass to simulate both infantry and vehicle-based gaming performance. The frame time output of OCAT is then math’d up to deliver a 99th percentile frame rate figure we use as the minimum and an overall average frame rate for the entire run for each card. For the RTX 2080 Ti we’ve run across 4K, 1440p, and 1080p resolutions at both the recommended Ultra/Ultra settings (for overall and DXR respectively) and Ultra/Low. We’ve done this using both the original launch code for Battlefield V and the post-patch version. The DXR test rig was chosen to let the GPUs run without any potential bottleneck to get in the way. 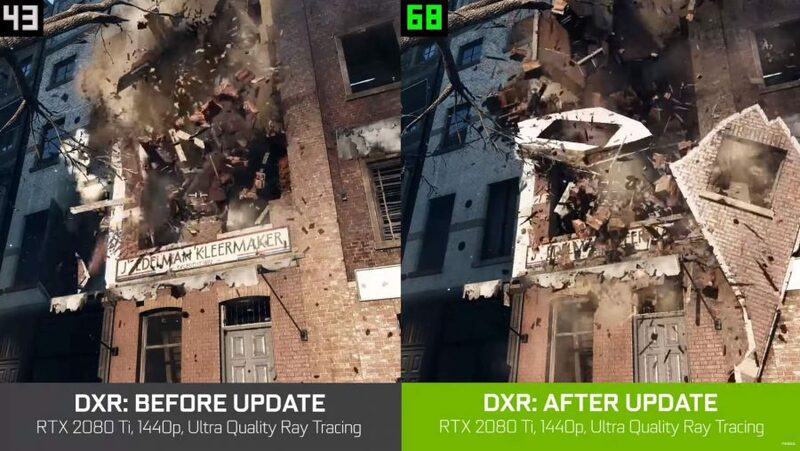 We’ve got referential figures for the RTX 2080’s DXR performance at Nvidia’s recommended Ultra/Medium settings, at both 1440p and 1080p, but we encountered an issue switching to 4K which persisted through our Ultra/Low runs too. Performance was seriously degraded, and only seems to have been fixed by using discrete PSU power cables for both the 8-pin and 6-pin connections on the card. The great news is that real-time ray tracing is now utterly playable at the highest graphics settings, both in terms of the general and DXR options. Being able to offer over 60fps at those settings running at the 1440p resolution is a hell of an achievement, especially given the short time that DICE has been working with the technology. Having this sort of genuinely tangible gaming performance boost from a free update, just around a month after release, is fantastic, and shows the commitment that both DICE and Nvidia have to making this first-gen pass at real-time ray tracing a success. The fact that you’re able to hit 43fps at 4K is pretty damned impressive too. Admittedly when you’re running a multiplayer game where every second and every frame counts, the performance hit from switching on ray tracing is hard to parse. But when you can top 60fps with that level of visual fidelity it’s going to be mighty tempting to now turn that on if you’re running at 1440p. I personally miss the ray traced reflections when I’m playing the standard rasterized version of the game. It seems like a little thing when you first switch to the DXR game, but going back to the last-gen version you really notice where the graphics engine has previously been lying to your eyeballs with its faked reflections and lighting. But the RTX 2080 Ti performance boost doesn’t offer us anywhere near the ‘up to 50%’ boost that Nvidia has been promising. At 4K we saw a 16% boost at Ultra/Ultra, with 1440p being 13% faster, and 1080p just showing 10% higher frame rates. The RTX 2080 is a little more promising on that front, however. Where we could get reliable results for the card in the original Battlefield V code – at 1080p and 1440p – we saw a 37% and 48% performance boost respectively. We went from 38fps to 52fps at 1080p and from 31fps to 46fps at 1440p. That’s more along the lines of what Nvidia had been promising us, but still sees the second-tier RTX card missing out on its own 60fps 1440p target, and even at 1080p too. We do see the RTX 2080 topping the hallowed 60fps mark when you switch from Ultra/Medium to Ultra/Low, where the 1440p performance runs to 64fps on average and 75fps at 1080p. Even the 35fps average frame rate at 4K is pretty good considering. 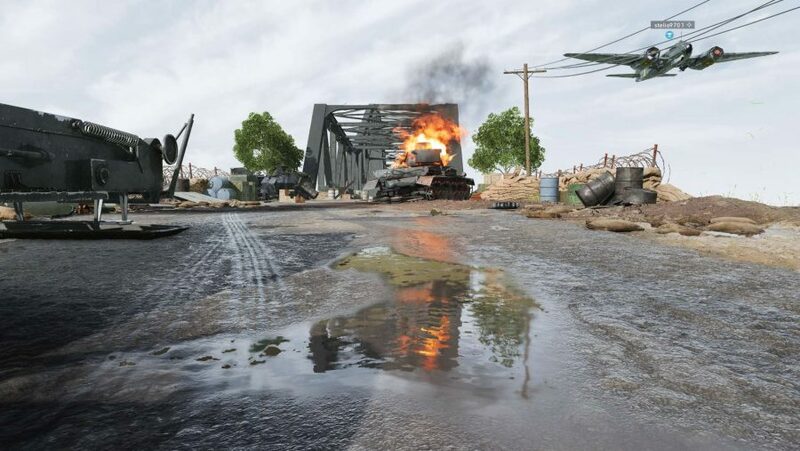 The performance enhancements have all come from optimisations to the way the ray tracing is implemented in the Frostbite engine, and not from any downgrade to the visuals. In fact DICE says that it has actually increased the number of rays it’s counting. The introduction of variable rate ray tracing – where DICE can “place the rays where they matter” – is similar to the variable rate shading Nvidia has introduced with Turing. It means that if a surface isn’t reflective, or is less reflective, then the engine focuses more rays on the surfaces that are, lessening the overall performance hit. 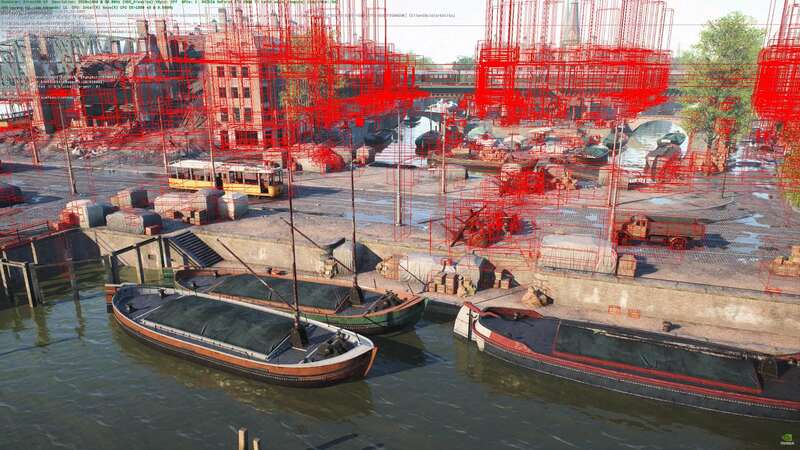 Nvidia and DICE have also refined the operation of the bounding volume hierarchy (BVH) algorithm to make it more efficient, as well as managing the effect the huge amount of destructibility of a BF V map has on ray tracing. That required the teams quashing a particular Bounding Box Bug which tanked performance when things were falling apart. Foliage is another area where ray tracing previously saw a huge frame rate hit, and that has also now been fixed in the latest update. But this isn’t the end of it either, Nvidia says that it is “just scratching the surface on optimising ray tracing performance,” so hopefully we can look forward to more enhancements in the new year. 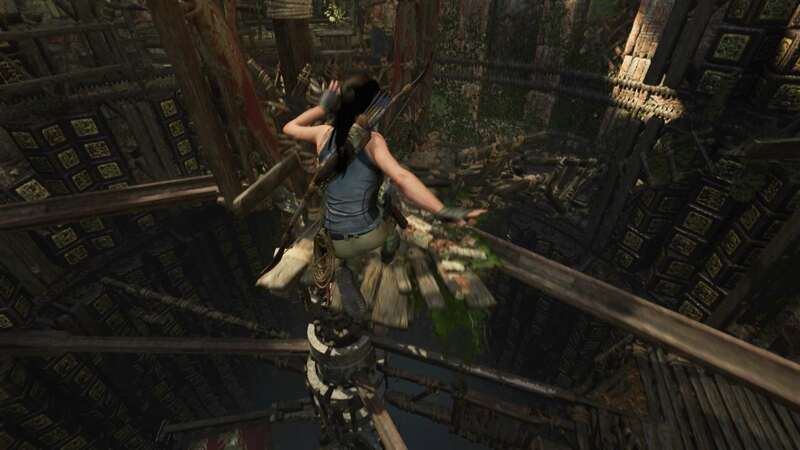 And fingers crossed DICE is nice enough to share any of its findings with Nixxes as it gets the ray traced lighting and shadow update into Shadow of the Tomb Raider, and we’ll see similar speed bumps for that RTX title too. Inevitably, when we’re talking about the RTX cards and real-time ray tracing, there will be accusations of gimmickry and consternation that a $1,200 GPU is only able to offer us real-time ray tracing at 60fps at 1440p. But I would say again this is the first generation of a formative technology. And what DICE and Nvidia have shown here is that they are capable of improving gaming performance in this generation, without just having to wait for newer, even more powerful hardware. Sure, it’s not an essential technology, but then few graphical niceties really are. And hell, if we stayed with that mindset we’d still be looking at barely shaded polygons with rough textures. Innovation is important, but sadly it is expensive. So yes, right now you are paying a premium for a little-used feature, and I wouldn’t therefore recommend anyone goes out to buy an RTX 2080 or RTX 2080 Ti just for ray tracing alone, but it’s still a glorious feature to have and I’m positive this hybrid raster/ray approach will become the de facto standard for PC gaming as mainstream GPUs adopt it in a few short years. Fingers crossed Control and Atomic Heart are as stunning as they look, and more devs get on board.